As a result of the slope of our lot we need to provide some retaining walls. We spent some time devising the best configuration and position of walls in order to maximize the usable space and minimize the amount of wall required. As part of this equation is an easement at the bottom of the property. This is for a sewer line that runs across the property. This second easement, like the one at the top of the property, means that any retaining wall we do build can’t be within this easement. In the final layout we adjusted the grades so that only one wall was required and kept the retaining wall close to the house to create two zones for the backyard. The upper hard surfaced patio area next to the house and then the vegetated area down below where there is more open space available. For the construction of the retaining wall, we first looked at concrete but it would have been too costly an option with the size of wall we needed. Researching other options brought us to the Nilex SierraScape system. 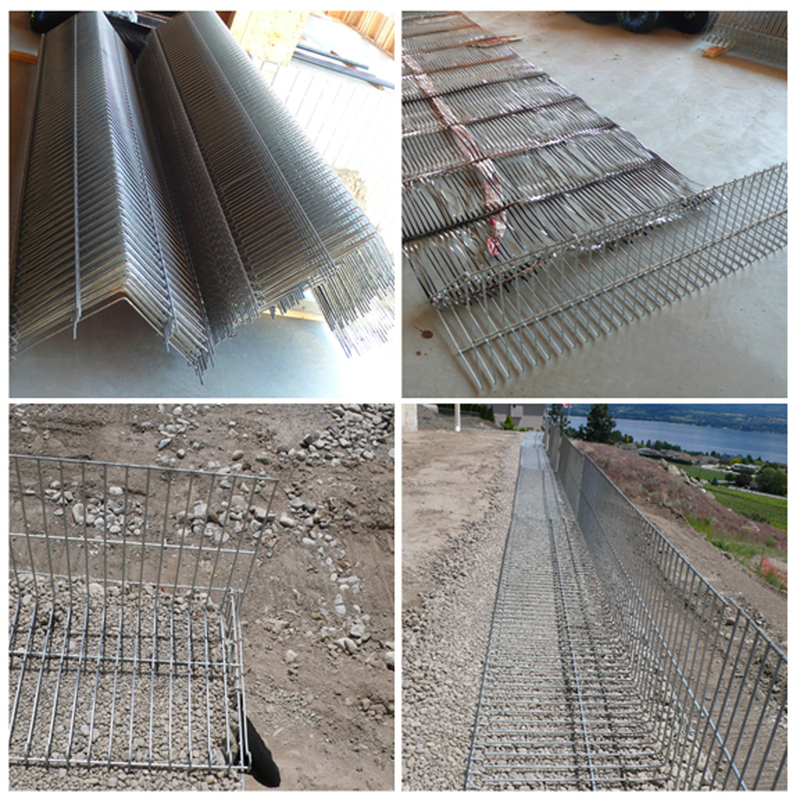 It is very much like a Gabion wall only rather than individual blocks pieced together and built up to form a wall, it is a wire-formed retaining wall system that utilizes a geogridrunning back into the soil for support. The system is flexible which helps with any differential settlement and since it is composed of rocks piled together it also allows water to seep through freely, eliminating the hydrostatic pressure issues that typical concrete retaining walls have. I quite like the look and feel of the wall and I think it provides a nice contrast to the smoother lines of the house above. As an added benefit, it will also be a great planting wall since the metal forms are much like a trellis providing a backdrop for vines and plants to grip and climb. I also hear it works very well with grapes both because they can climb the wall and also because of the warmth the wall holds.